WASHINGTON, USA – The systemic corruption and fraud in the St Kitts and Nevis citizenship by investment (CBI) program that has been exposed during the last several months has now attracted the attention of the US State Department in its latest Country Report on Human Rights Practices. “Media and private citizens reported government corruption was a problem. Citizens continued to express concern about the lack of financial oversight of the CBI program. To protect the privacy of economic citizens, the government did not make public the number of passports issued or the nationalities of the holders of these passports obtained under the CBI,” the 2018 report on St Kitts and Nevis recently released by Secretary of State, US Mike Pompeo noted. Some four months after allegations of fraud were first brought to the attention of regulatory authorities in St Kitts and Nevis, just last week was the first meaningful action taken in this respect. After weeks of inaction and denial, at a meeting in Dubai in January with citizenship agents, St Kitts and Nevis foreign minister and premier of Nevis, Mark Brantley, confirmed that local police have launched a full investigation into the use of forged documents in connection with the country’s CBI programme. However, it has taken another two months for any effective sanctions to be applied to just one of the offending marketing agents. According to industry sources, there are numerous questionable instances where citizenship applicants have been diverted from the St Kitts and Nevis government’s Hurricane Relief/Sustainable Growth Funds into real estate developments that will never actually be completed, thereby depriving the St Kitts and Nevis economy of much needed investment and instead benefiting unscrupulous marketing agents and local developers. 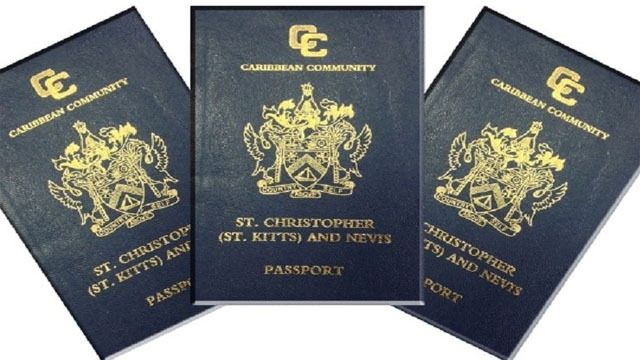 The failure on the part of the Citizenship by Investment Unit (CIU) to take any meaningful action in this respect led to widespread speculation that St Kitts and Nevis government officials were personally involved in what appeared to be widespread fraud in the CBI programme. According to the State Department report, public officials are not subject to financial disclosure laws. The financial intelligence unit investigates reports on suspicious financial transactions, along with the police white-collar crime unit, but these reports were not available to the public. Another source of concern is the World Justice Project (WJP) rule of law index for 2019, reporting a slide toward a weaker rule of law and rising authoritarianism in St Kitts and Nevis under the current government led by Prime Minister Dr Timothy Harris. “At 30th place out of 126 countries worldwide, St Kitts and Nevis declined two positions for overall rule of law performance in the WJP Rule of Law Index 2019 edition,” according to the latest index. Opposition leader, Dr Denzil Douglas, noted that the WJP only began to assess the situation in St Kitts and Nevis two years ago, but the widespread corruption, nepotism and cronyism that have engulfed the Harris government over the last four years can be attributed to the slide in the index. In addition to these concerns is the government’s refusal to allow the International Monetary Fund (IMF) to publish the most recent economic report following the visit by an IMF mission to conduct the Article IV Consultation.